Betty Crocker Pizza Maker Just $28.99! Down From $60! PLUS FREE Shipping! Head over to Amazon to score this Betty Crocker Pizza Maker for just $28.99 down from $59.95 PLUS FREE shipping! Sometimes you crave a home-baked pizza but just can’t stand the thought of having to turn on the oven. 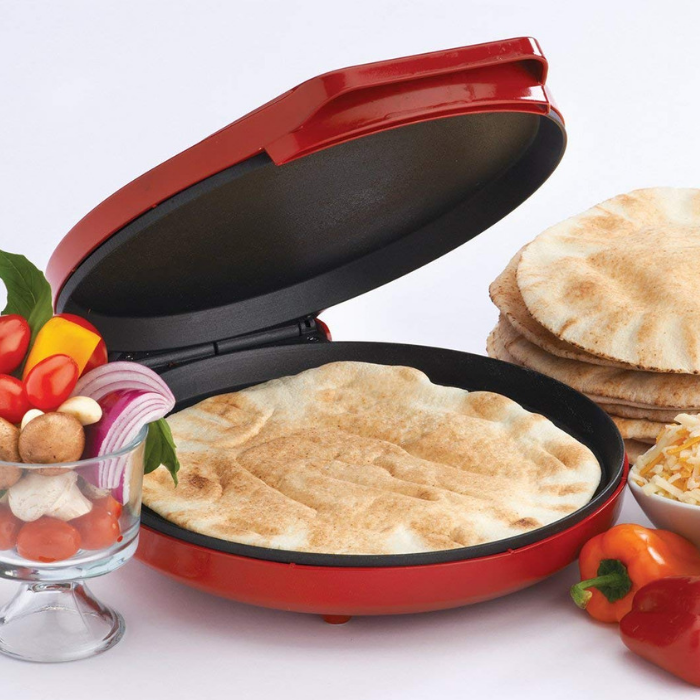 The Pizza Maker Plus from Betty Crocker provides a fast, fun, and energy efficient way to create homemade pizzas or flatbreads with your own fresh toppings, in just minutes! Whether you start with fresh dough or a frozen pie, you’ll get 12-inch pizzas with a deliciously crispy crust every time. It’s also great for making a wide array of quick meals and creative snacks with minimal preparation when you’d rather spend time with friends and family than in the kitchen.